Briana is using Smore newsletters to spread the word online. A Screening of the Entire First Season! 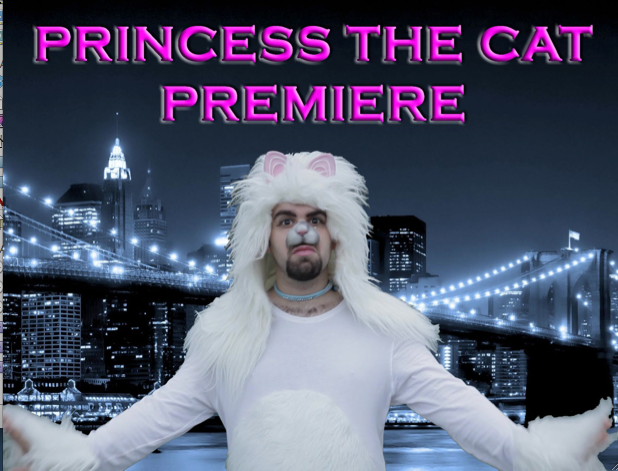 See Princess in her New York Debut! "Princess the Cat" is a comedy webseries that creator Briana Whyte Harris has been working on forever. Now you can finally see what we've been up to, before the rest of the Internet. Lucky you! Starring David Rigano, Mark Smolinski, Alice Dranger, and Miles Wickham. Join us for a free screening in Freddy's Backroom! Jeanine loves Tom. Tom loves Jeanine. But when Tom meets Jeanine's cat, Princess, the hatred is mutual. Will Tom be able to hold his own in the face of Princess' feline fury? Pilot Episode.